Leather whips will always need maintenance. Here are a few tips to make your whip last longer. First of all never let your whip dry out. 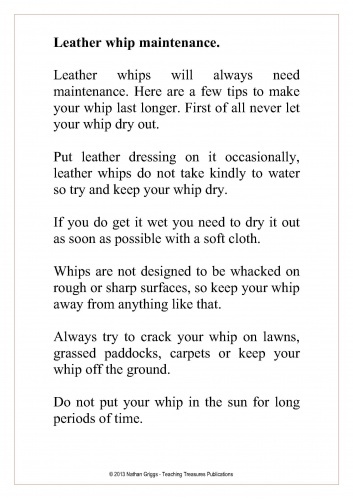 Put leather dressing on it occasionally, leather whips do not take kindly to water so try and keep your whip dry. If you do get it wet you need to dry it out as soon as possible with a soft cloth. Whips are not designed to be whacked on rough or sharp surfaces, so keep your whip away from anything like that. Always try to crack your whip on lawns, grassed paddocks, carpets or keep your whip off the ground. Do not put your whip in the sun for long periods of time. 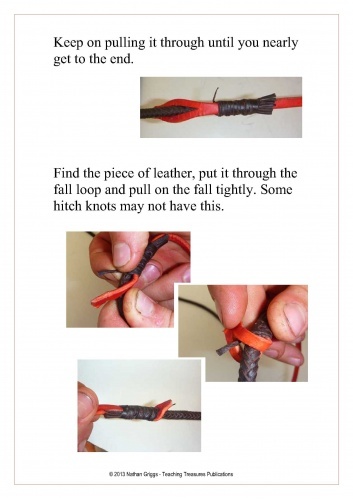 Buy the eBook and learn how to look after you leather whip. 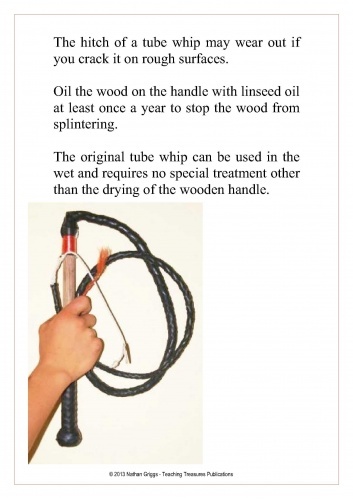 How often do you oil your whip? How to make your own leather dressing and much much more.